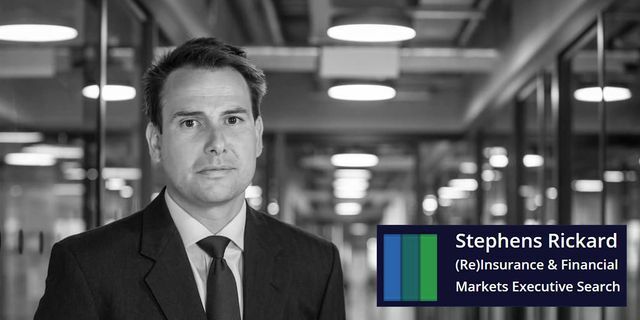 Stephens Rickard, the Executive Search firm focused on the global Insurance, Reinsurance and Alternatives/ILS markets, is pleased to announce the appointment of Rupert Rickard as a Partner and a rebranding to reflect this. Rupert has played an important role in expanding the business, having joined what was then Stephens International in 2014 to supplement and enhance its coverage of the (Re)Insurance markets. He has 15 years’ international search experience, having successfully completed mandates across Asia-Pacific, EMEA and North America. The appointment underpins the firm’s growth strategy and follows the opening of the Zurich office and the appointment of Charlie Eady to lead it. The focus of the Zurich operation is to serve clients in Switzerland and Continental Europe, fulfilling a broad range of mandates across Reinsurance, Insurance, Insurtech and Alternatives/ILS. Stephens Rickard intends to announce the opening of a New York office in 2019 to further the firm’s coverage of the Americas.